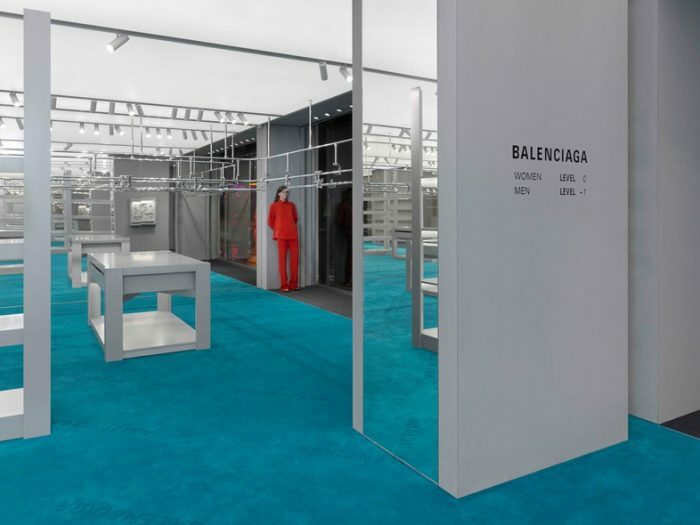 Spanish luxury fashion house Balenciaga opened it’s doors in London to a new two story ready-to-wear and accessory store on Sloane Street. 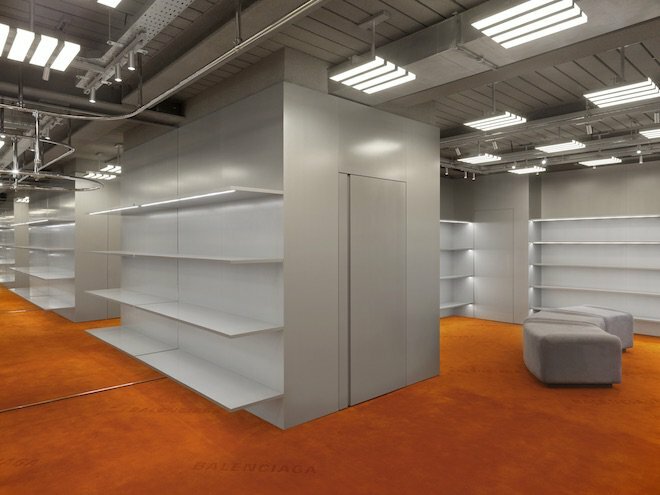 The space features two floors, boasting industrial furniture, metal shelves, and conveyor rails. 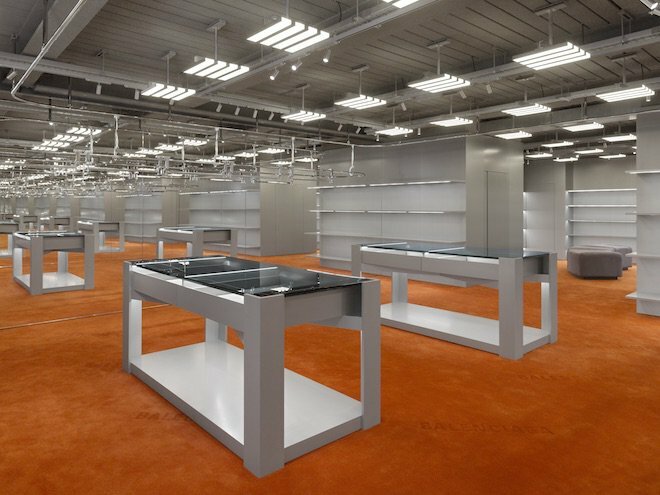 The store features a large display case along with a combination of ceiling panel lamps and floor to ceiling with on the ground floor. With a very futuristic feel, it includes grey scaled industrial furniture and columns, aqua green carpets, and glass and metals shelves complemented by minimal wrapped seating. The storefront also introduces a pair of hyper realistic mannequins based on two exclusive models: Eliza Douglas and Takato Harashima. 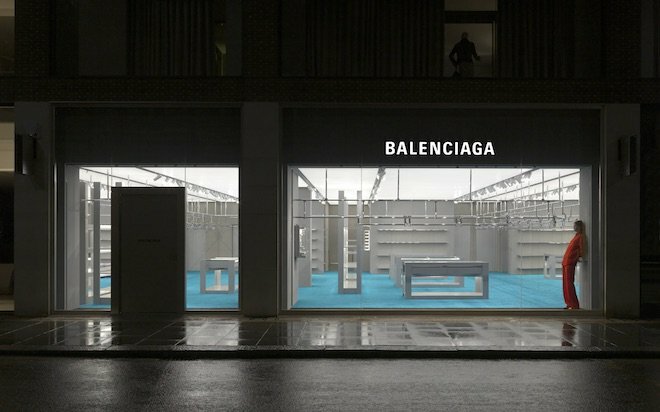 The celebrate the opening of the new store, Balenciaga released 30 leather shopping tote bags printed “London” branding.